Chelsea are the only club that make me dream! Eden Hazard was featured at the weekend on TV Channel Canal+ and was questioned about his future and once again the link to Real Madrid. 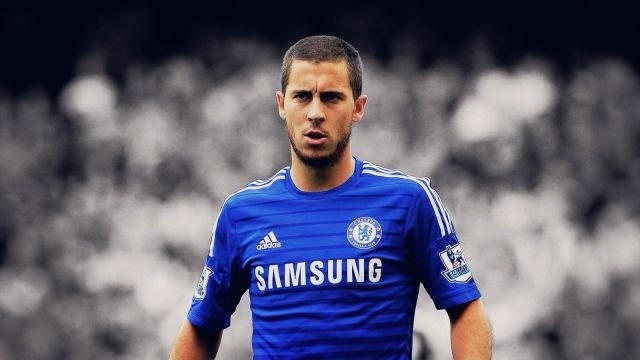 Hazard's response should be music to Chelsea fans ears everywhere! Reports in Europe speculating over his career remain with many so called pundits/reporters stating that the only club he would leave Chelsea for would be for Real Madrid. Those same reports would have us believe that Cristiano Ronaldo is preparing to return to the Premier League next season, with Hazard being lined up as his replacement. "I never said that if I left Chelsea it will only be for Real Madrid. The only club that makes me dream is Chelsea. I made the choice to join Chelsea because I knew I was going to play. This is my third year here. I don't know if I'm the main asset of the team, but I can take pleasure by playing in this team." What a response from the Belgian! Fantastic! If anything, if Eden Hazard continues to play his football at the level he has been playing in recent weeks, it will be Hazard that makes each and every single one of us dream of a trophy (or two) at the end of the season! "The only club that makes me dream is Chelsea!" - I am estatic. What about you?